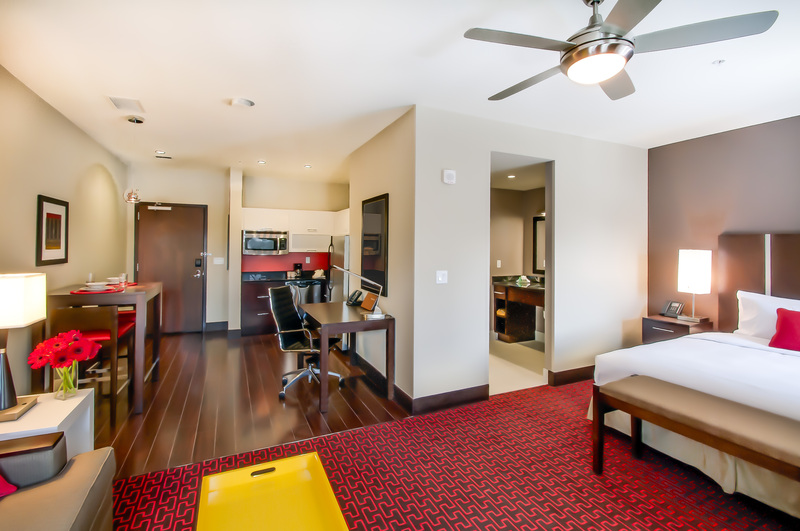 Our spacious one-bedroom studio suites feature separate living and sleeping areas. 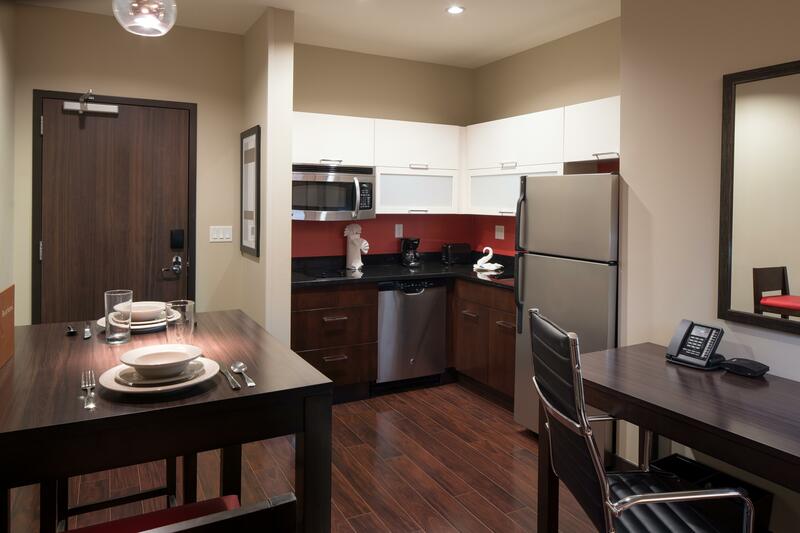 Each has convenient amenities such as a fully equipped kitchen with full-size refrigerator, microwave, and dishwasher. 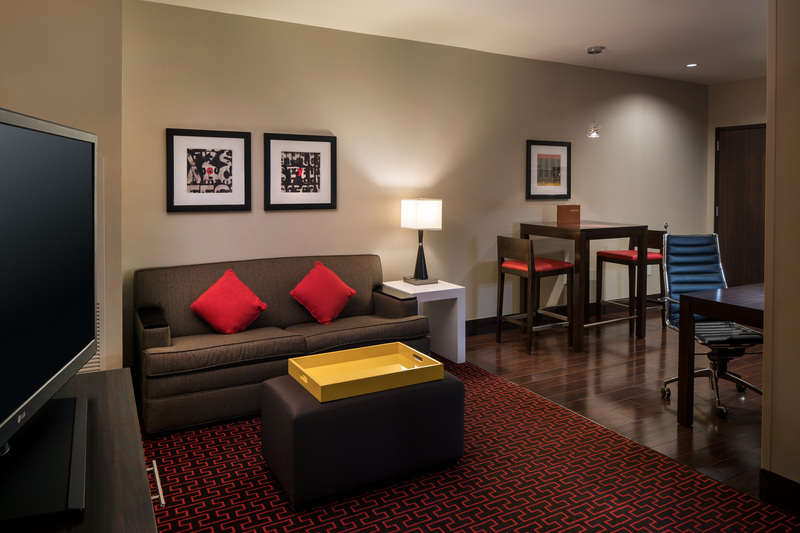 You’ll find enough space for work or relaxing, plus all the comforts of home. Need a double queen room? Book Hampton Inn, located in our building. Rooms with views – get inspired in this modern room, complete with dazzling views of the nearby mountains. A spacious, one-bedroom suite featuring a separate living room and sleeping areas – the perfect space for a relaxing stay between meetings, travel or entertainment. Enjoy the convenience of a fully-equipped kitchen, with full-size refrigerator, microwave and dishwasher. 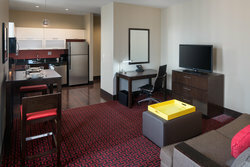 Stay connected with free wireless internet and get down to work with a convenient work station. 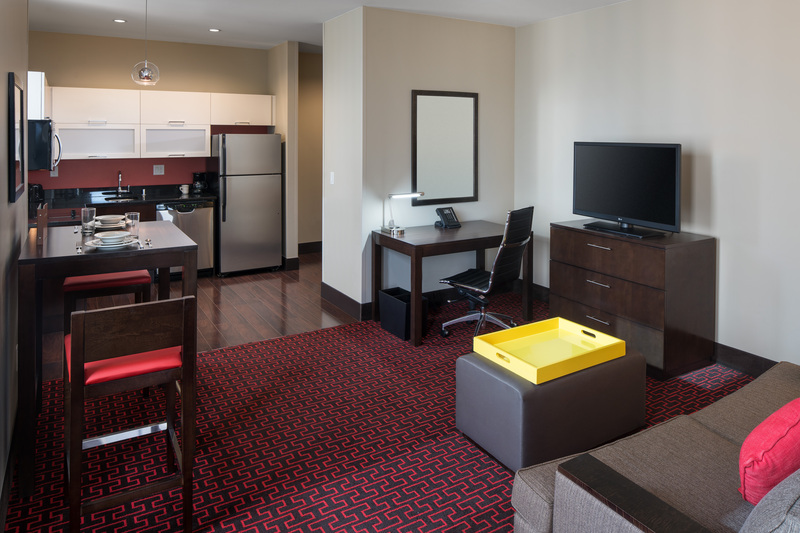 Get premium entertainment with an in-room 42” LG HDTV. Dine, unwind and relax – with a spacious, multi-room suite nestled high atop Denver’s bustling downtown. 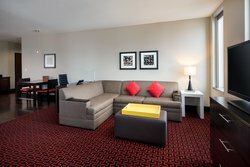 A spacious, one-bedroom suite featuring a separate living room and sleeping areas – the perfect space for a relaxing stay between meetings, travel or entertainment. Enjoy the convenience of a fully-equipped kitchen, with full-size refrigerator, microwave and dishwasher. Stay connected with free wireless internet and get down to work with a convenient work station. 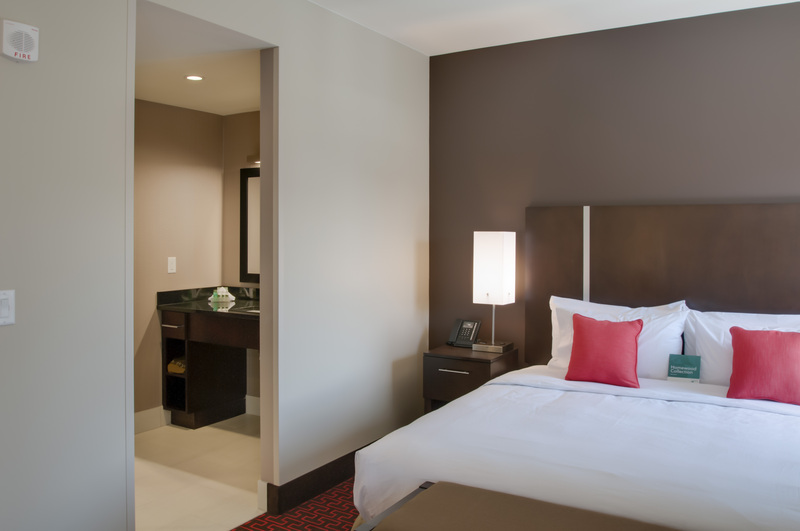 Get premium entertainment with an in-room 42” LG HDTV. Step into this inviting suite, complete with mountain views, a full kitchen, dining/work table and internet access. Enjoy premium entertainment on a 42” LG HDTV, perfect for unwinding after a busy day. Get inspired with dazzling views of the Rockies, or turn in early and get a refreshing sleep in a sumptuous king-size bed. 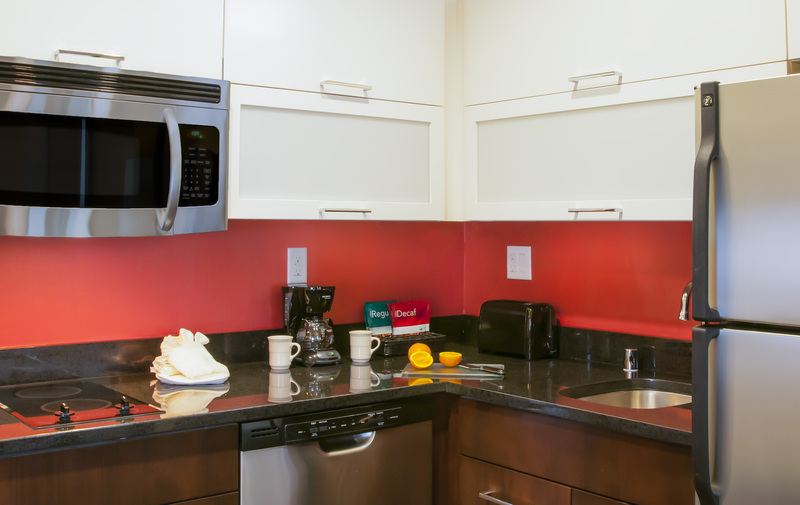 Whip up a fresh meal in a fully-equipped kitchen, complete with full-size refrigerator, microwave and refrigerator. Comfort meets modernity in our stylish suites, offering the latest in hospitality. 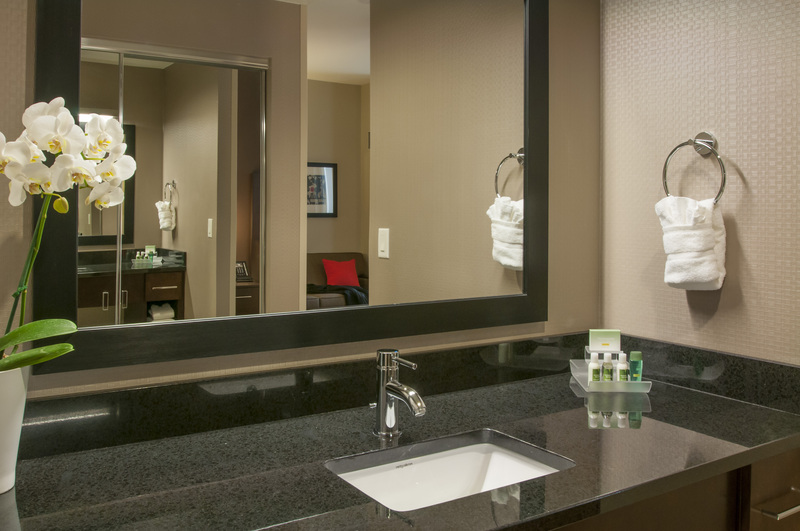 Retire to the comfort of this studio suite after a busy day – and unwind with all the comforts of home. Enjoy premium entertainment on a 42” LG HDTV, perfect for unwinding after a busy day. Get inspired with dazzling views of the Rockies, or turn in early and get a refreshing sleep in a sumptuous king-size bed. 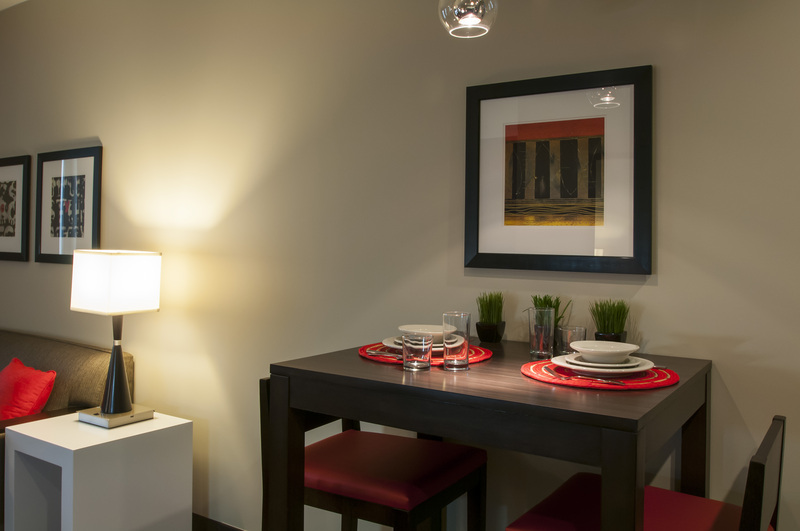 Whip up a fresh meal in a fully-equipped kitchen, complete with full-size refrigerator, microwave and refrigerator. 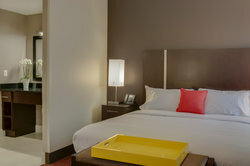 Inspiring, panoramic mountain views, premium entertainment & connectivity and supreme comfort – enjoy it all in our Urban Studio Suite. 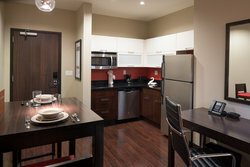 Whip up a fresh meal in a fully-equipped kitchen, complete with full-size refrigerator, microwave and refrigerator. Enjoy premium entertainment on a 42” LG HDTV, perfect for unwinding after a busy day. 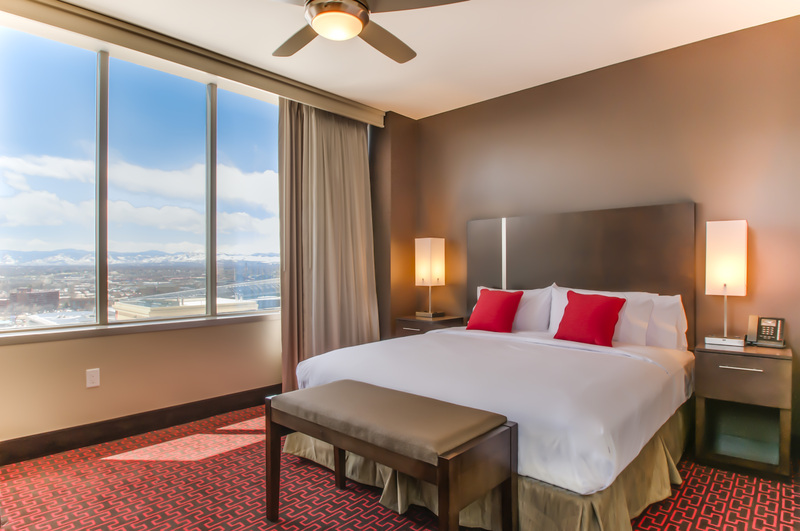 Get inspired with dazzling views of the Rockies, or turn in early and get a refreshing sleep in a sumptuous king-size bed. 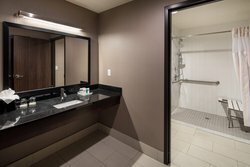 We've designed our accessible hotel rooms to make our guests with disabilities - as well as friends and family who accompany them - more comfortable. With a range of accessibility features designed to make it easier to relax, you’ll have more time to unwind. 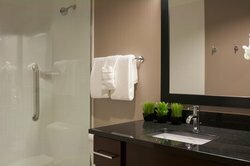 Our range of accessible suites include options like: mobility and hearing accessibility, roll-in showers and visual alarm & notification devices. Enjoy premium entertainment on a 42” LG HDTV, perfect for unwinding after a busy day. 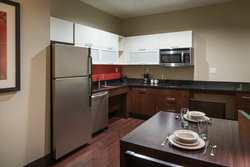 Whip up a fresh meal in a fully-equipped kitchen, complete with full-size refrigerator, microwave and refrigerator.